You get an ingrown toenail when the edge of a toenail grows into the soft surrounding skin. It is one of the most common toenail problems. Other than causing pain, ingrown toenails are quite annoying and, even worse, can result in infection. Pain, swelling and redness are the typical signs of an ingrown toenail. In serious cases, there will be the formation of pus preceded by severe discomfort. Medical attention is necessary when it comes to that. The toenail consists of various anatomical parts. These include nail plate, nail bed, nail folds and the cuticle. As mentioned earlier, an ingrown toenail occurs when the edge of toenail curves and grows into the soft skin surrounding the nail bed. The big toe is commonly affected. So what causes an ingrown toenail? 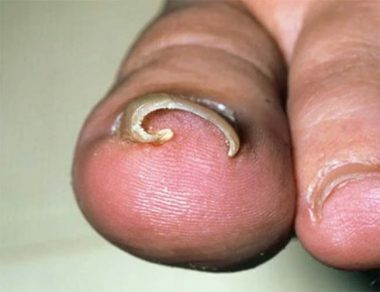 Some people are more likely to develop ingrown toenails than others. For instance, people who play basketball or tennis frequently exert sudden pressure on their feet. This can ultimately result in an ingrown toenail. 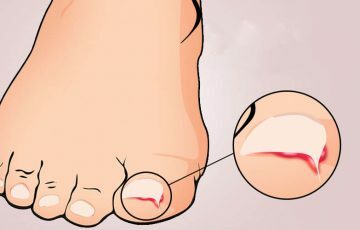 Some postures and gaits may cause uneven distribution of pressure on the feet and in the process force the nail edge skin to press against the toenail. 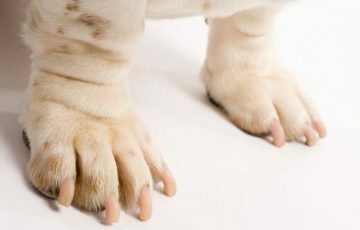 Much the same may be caused by swelling of lower feet. Excessive sweating of the feet can make nail edge skin become very soft and therefore prone to curved toenails. What are the symptoms of ingrown toenail? Symptoms may begin along one side of the affected nail or both. Pain is usually the first to occur as the curved toenail grows into the soft surrounding skin. Infection is not always present. It is more common in people with diabetes or other issues that hinder sufficient blood supply to the feet. You can have an ingrown toenail and a toenail fungus at the same time. Toenail fungus is caused by entry of a fungus into the nail, usually through a break or crack. This can happen when you have cut your toenails too short or have been involved in a minor accident. This option helps treat a recurring ingrown toenail. A part of nail and nail bed will be surgically removed. After ingrown toenail surgery does the nail grow back? Most parts of the nail will grow back. Rather than removing a portion of the nail itself, only the ingrown part is removed. It provides quick relief for large ingrown toenails. This option works best for mild ingrown toenails. Here, your doctor will lift the ingrown toenail and use a separating material to keep it from returning to its original position. Medical treatment is the best option for infected, recurring or severely painful ingrown toenail. In fact, you may be put on antibiotics as part of treatment. 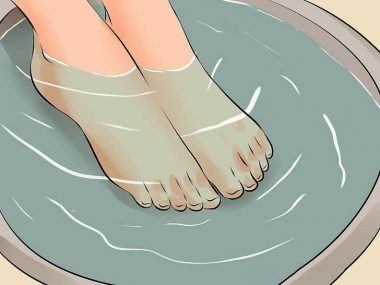 Soaking the affected toenail in lukewarm water provides relief to pain and may reduce swelling. For best results, add Epsom salts into the water and soak in for 15 minutes. Elevation promotes sufficient blood flow in the affected foot. This can reduce swelling and promote faster recovery. Apple cider vinegar has two main properties that can help with ingrown toenail treatment. It is an anti-inflammatory and has antimicrobial properties. ACV can be applied directly or be added to soaking water. If you are to place dental floss under the affected nail, it may grow in the normal direction. Be careful when implementing this option because it can introduce bacteria under the nail. This is especially an issuewhen cotton wisps are used in place of dental floss. Infected ingrown toenails take longer to heal and can result in even more serious complications. 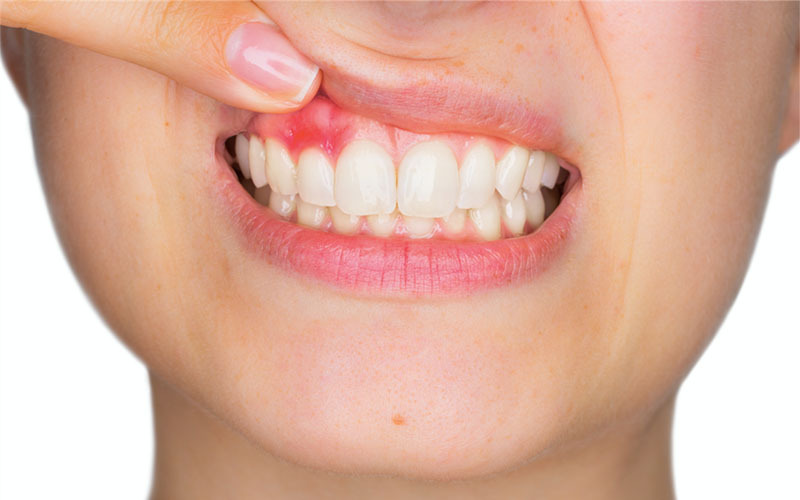 To avoid this, use an over the counter antibacterial ointment such as Bactroban. Ingrown toenails can sometimes become very painful. Quite a number of pain medications are available over the counter. You can use such medications to provide relief. Swelling can aggravate the extent to which ingrown toenail enters the skin. 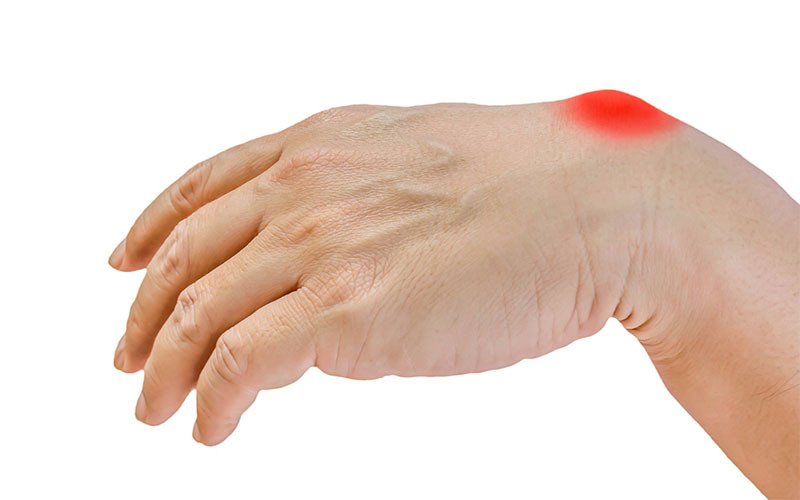 This can be prevented with anti-inflammatory creams or drugs such as ibuprofen. High heels and tight shoes are leading causes of ingrown toenails. They force your toenails to crowd and also exert unnecessary pressure on your toenails. If you must wear such shoes, consider cushioning with a toe protector or a toe brace. When cutting your toenails, ensure to do it straight across. Be sure to not dig into corners. Also, avoid cutting them very short. You will need warm water, nail clippers/trimmers, tweezers, cotton wool and antiseptic. 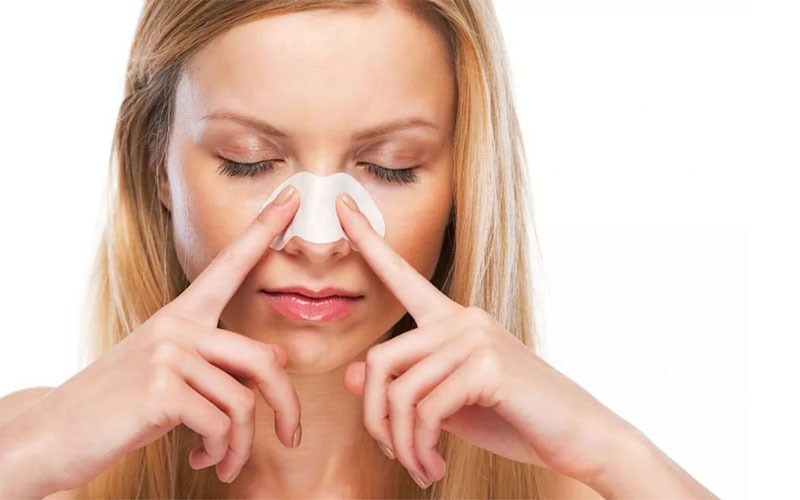 Ensure to keep cleaning and using antiseptic throughout the process. 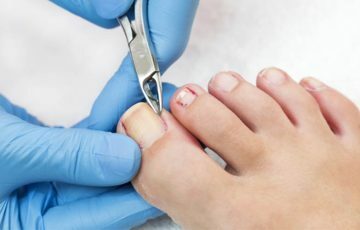 Due to the injury caused by the ingrown toenail, you can easily introduce germs into your nail matrix. You can consider watching a how to take out an ingrown nail video. This is especially if you are considering doing it for the first time. Online videos can also help with dog or cat ingrown nail removal. 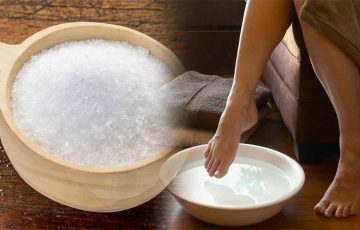 Epsom salts come in handy when you are intending to remove the ingrown toenail from the skin it has grown into. The salts help soften the skin. 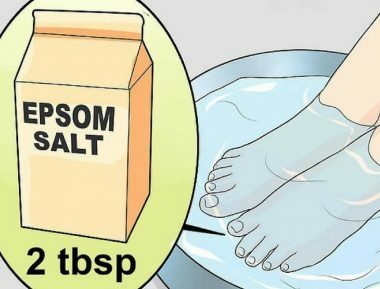 The best way to use Epsom salt ingrown nail treatment is adding them to warm water and soaking the affected foot for 20 minutes. As mentioned earlier, this home remedy can be used as an antiseptic and also as an anti-inflammatory remedy. Soaking ingrown toenails in warm water several times a day helps relieve pain, swelling and tenderness. Start by soaking for 15 minutes 3 times a day. 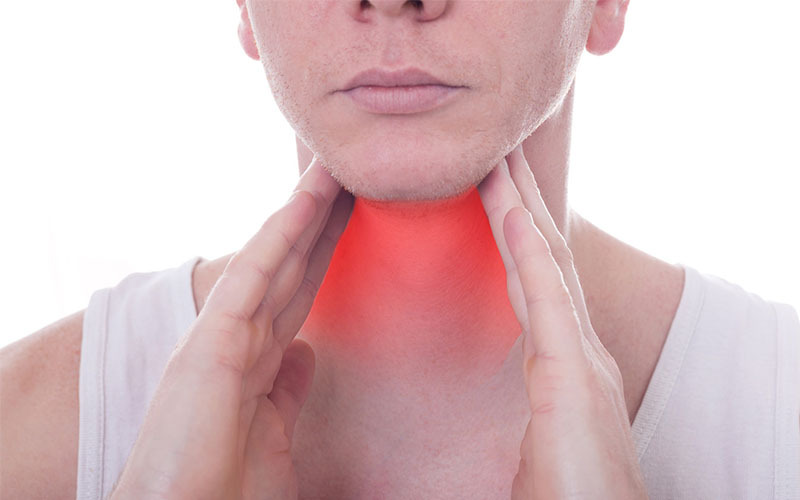 Essential oils provide relief to pain and also help prevent infection. Good examples include tea tree oil, coconut oil and oregano oil. The best way to use them is by applying directly. Remember to dilute with carrier oil to avoid irritation. You probably have used hydrogen peroxide on multiple occasions. It is a very potent antiseptic and may help reduce pain. You can use diluted hydrogen peroxide directly or mix half a cup with same amount of water and soak in for 20 minutes. Ingrown toenails are common problems. Without proper care, bacteria can reach superficial tissue or even the toe bone to cause serious infection. People with diabetes, circulatory issues or compromised immune systems are advised to seek medical treatment. The same goes for potential ingrown thumb nail infection. Formation of pus in an ingrown toenail indicates a bacterial infection. It should be treated with antibiotics as soon as possible. Left alone, infection can travel to blood system or bones. It is uncommon for ingrown toenails to cause serious complications that may require surgical removal of the whole toe. 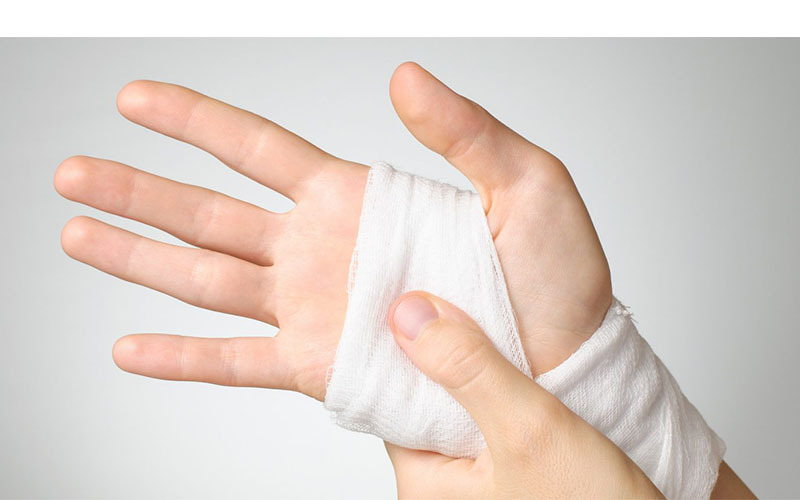 Even when surgery is involved, it is usually to get rid of a portion of the troublesome nail.